Fourward ever, backward never. Die nächste Ausgabe von Kärntens Authentischster Jamaican Party steht vor der Tür. Das line up bleibt auch weiterhin International. Zu Gast sind diesmal die Jungs von BIG FOOT SOUND aus Süd Italien, die Crew verbreitet seit 2009 “original Jamaican vibes” unter anderem auf Europas größter Free Dancehall Beach Party. Mit der Unterstützung von Four Star Foundation wird der Loco Soundclub wieder für ein paar Stunden in die Karibik verwandelt. Big Foot Sound aka King of the beach was born in 2009 in Vieste (Gargano, Apulia, Southern Italy) by an idea of Admiral Tonzio and Selly Marshall. The two guys, WHO ARE members of the old Reggae Hip hop collective and known as the Viestcoast crew and share their passion for Reggae Music and the sound system culture, after several experiences and collaborations(2), decided to set up their own sound system(1). These are the years in which the “Ferragost Viestcoast” develops and becomes the Fireagost, now known as the largest dancehall beach free entry party in Gargano (Apulia, South Italy) and one of the biggest in Europe . Subsequently the crew grows to eight members: Silvo mc, Miko Dread, Bruce Wine, WhyLeo, Jr. Wick and Silver Nana. Meanwhile, quality (juggling, raggamuffin, big tune mixed with brand new and dubplate, hip hop and future dancehall contaminations is the characteristics) and the number of dancehall parties. In “Ultima Spiaggia Yard” Big Foot promoted big dancehall with national, international and Jamaican artists: Pow Pow, Super Sonic, Heavy Hammer, I-Shence, Brusco, Mama Marjas, Macro Marco, Bonnot, Stylo G, Mr. Vegas, Ward21, Aidonia, General Levy, Supa Squad and many djs and brand new singers. 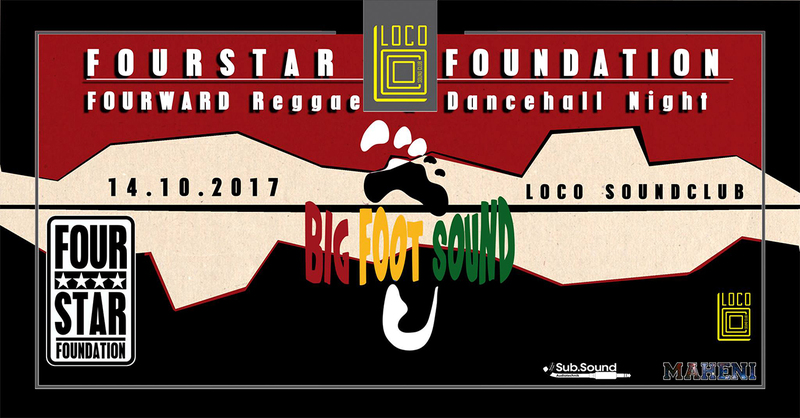 Big Foot Sound are also a member of Bergamoreggae crew that organizes dancehall parties and one of the most interesting festivals in Northern Italy. Big Foot Sound have performed at several clubs around Italy, Switzerland and Ireland, but their real asset is playing good vibrations on the beach, right where this reality was born.